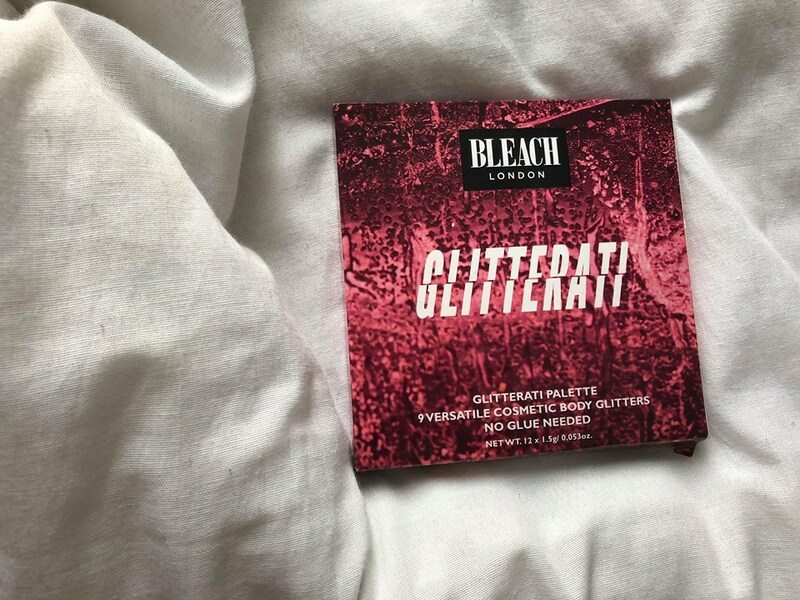 Since Bleach London began, I have been a huge fan of theirs. 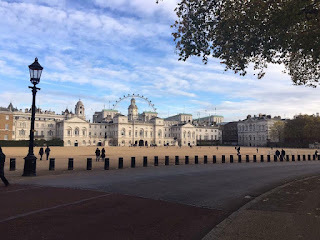 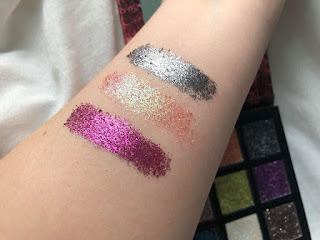 I loved the various fun colours they created as hair dyes and especially loved that you could experiment with your hair as the dyes are so affordable as well as being wash in, wash out. 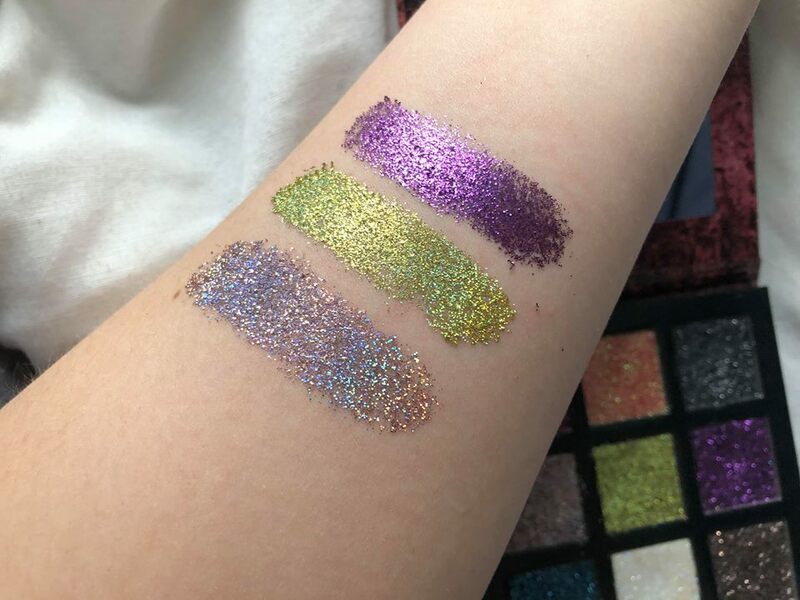 From using their hair dyes for a few years, you can predict my excitement when they finally released a makeup line that coincided to their hair colours. 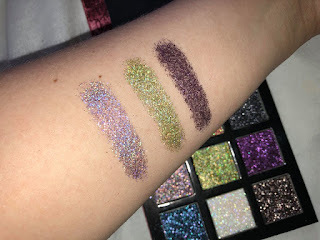 As soon as the line came out I was eager to get my hands on some of their eyeshadows and lip kits, and have been loving them since purchasing so when they also released a palette containing 9 pressed glitters I knew I would fall in love. 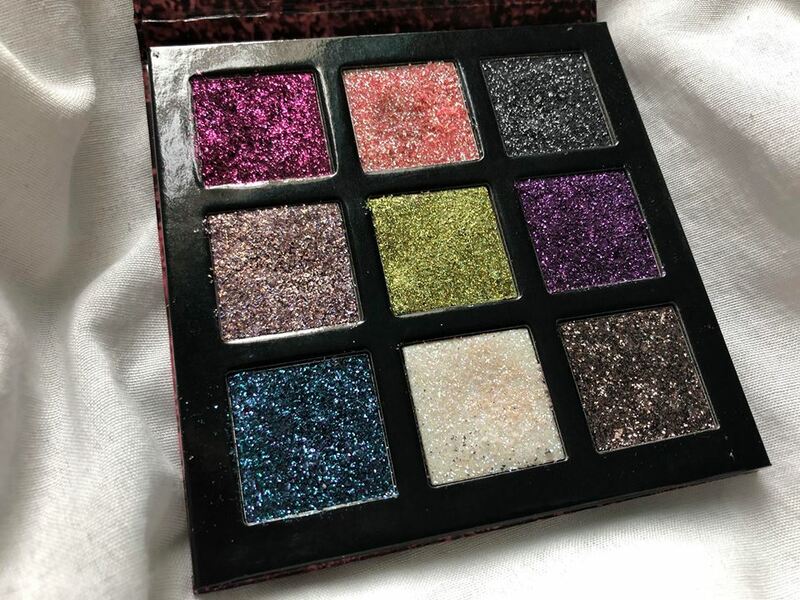 The glitterati palette came out early this year(I think) and contains 9 unique shades of pressed glitters, with some matching previous hair dyes created by Bleach. 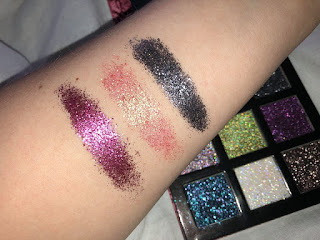 As they are pressed glitters they do have some fall down because to wear them you don't need any primer or glitter glue, the glitters go on like shadows and then can be layered to create more of a foiled look. 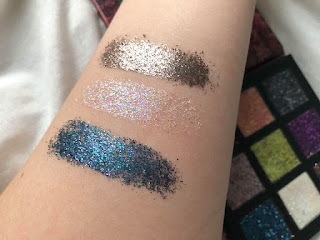 The colours are extremely pigmented but despite looking scary due to how bright they are, they are more wearable than they seem and can also be sheered out to create more of a reflective shimmer. 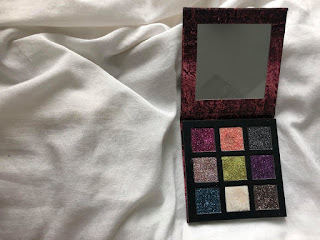 The palette can also be worn on the lips, face and body which I think is perfect for the festival season as its the perfect palette to take with you and you don't have to deal with loose glitters getting everywhere. In order from left to right, the shades are: The Big Pink, Awkward Peach and Gravel Pit then Violet Skies, Sea Punk and Bruised Violet and finally Washed Up Mermaid, Phase One and Bleached and as you can see each colour is very different. 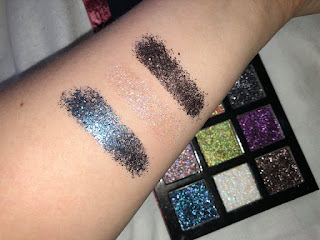 Without flash, in day light. Overall, I absolutely love this palette! 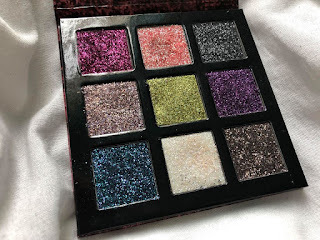 I did think when I first purchased it that it might not be so wearable because of how glittery and pigmented the colours are but I've actually found myself reaching for it several times and I think I definitely will be using it even more over the summer. Even though I love Bleach London's products anyway, I don't think I've ever been so obsessed with a palette just full of glitter, it's amazing. I would highly recommend to anyone who loves glitter or wants to create some fun looks this summer.